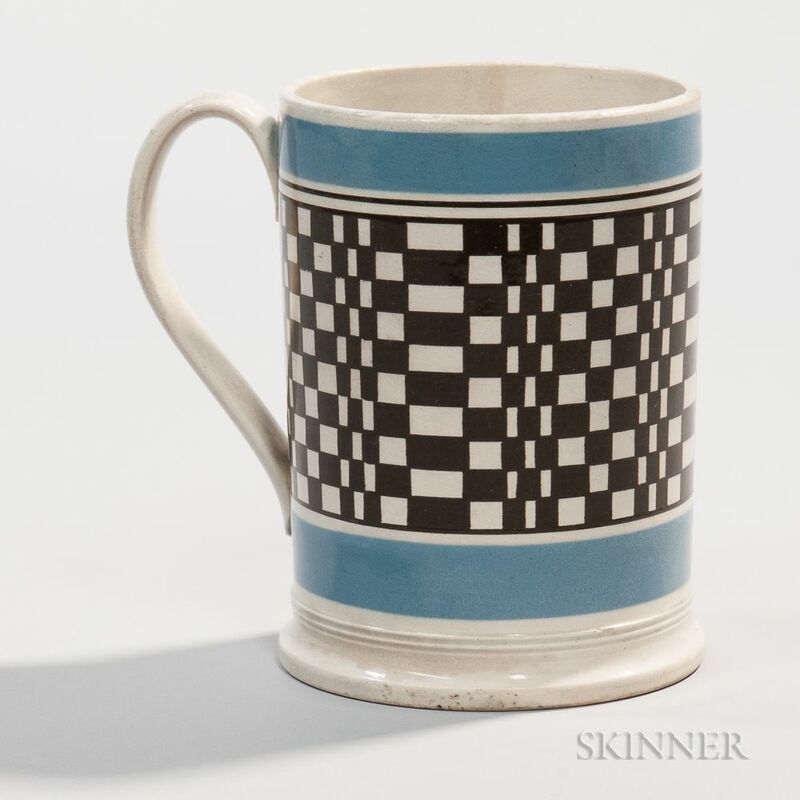 Engine-turned Quart Mug, England, c. 1800, the body with brown slip-filled checker pattern between bands of blue slip, molded base, applied strap handle, (imperfections), ht. 6 in. 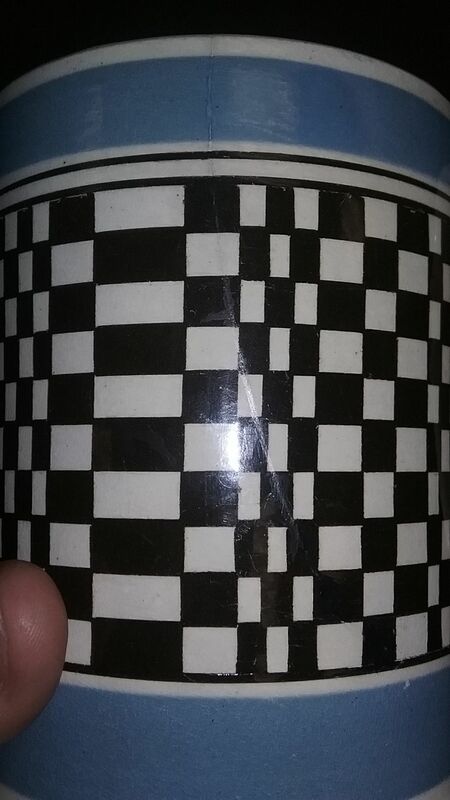 Stabilized crack extending through the checkering from the top.